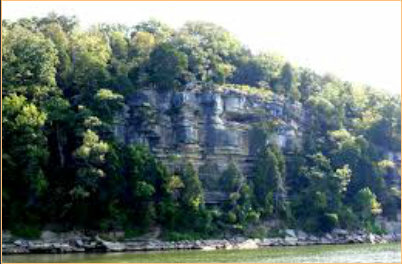 Enjoy spectacular views from the tallest bluff on the lower Tennessee River. Lady’s Bluff Road off Lower Lick Creek Road Lobelville vicinity From Lobelville From downtown Lobelville, drive south on S Main Street/TN Hwy 13 for 3.6 miles and turn right (W) onto TN 438. Drive west on TN 438 for 7.4 miles to Pine View and turn left to continue on TN 438. Drive another 3.5 miles and turn right (W) to stay on TN 438. 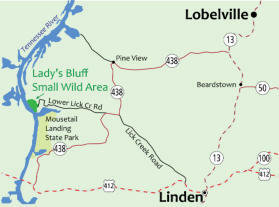 In 0.9 miles, bear slight right onto Lower Lick Creek Road and follow the signs 4.8 miles to the site. From Linden From downtown Linden, drive west on US Hwy 412 for 1.3 miles and turn right onto Lick Creek Road, In 5.9 miles, turn left (W) onto TN 438. In 0.9 miles, bear right (W) onto Lower Lick Creek Road and follow the signs 4.8 miles to the site. Open daily, dawn to dusk. The 2.7-mile Lady’s Bluff Loop Trail, a designated National Recreational Trail, leads visitors to the the top of a majestic limestone bluff offering far-reaching views across the Tennessee River. The moderately strenuous trail climbs through a mixed hardwood forest with intermittent outcroppings of limestone rock. The trail wends through varied ecosystems, including the Lick Creek embayment, limestone glades and outcroppings, natural sinks and intermittent spring-fed watercourses. Many of the native trees are marked by small signs giving some facts about the species. Atop the bluff, one can stand among gnarled old cedars and look up and down the river for miles in either direction and the Busselltown unit of the Tennessee National Wildlife Refuge on the opposite bank. In mid-October, this whole area becomes a landing strip for thousands of migrating ducks and geese making their annual visit to the refuge. The Tennessee River below Lady’s Bluff passes through “The Narrows,” the most constricted part of the Lower Tennessee. Two barges cannot pass through here as they can on other stretches of the river Access is by foot traffic only; no bicycles, horses or ATVs are allowed. 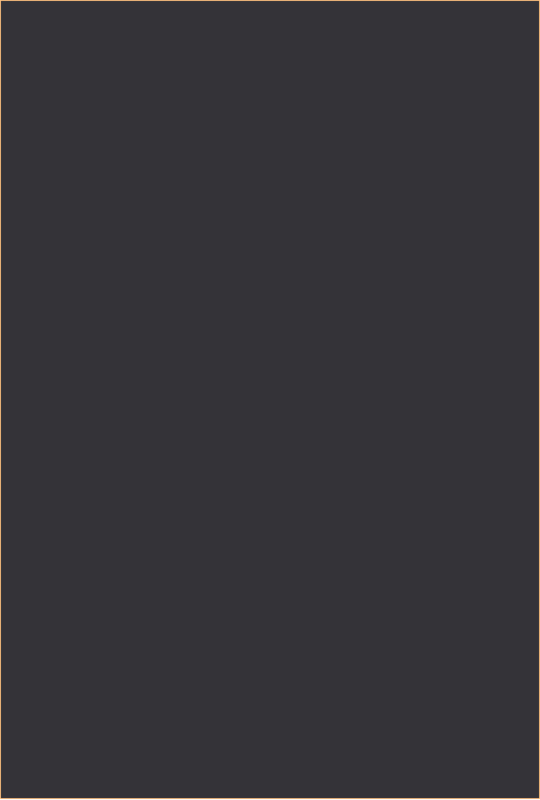 Exercise caution near cliffs; rappelling is prohibited. No overnight camping. Enjoy long distance views from the tallest bluff on the lower Tennessee River.